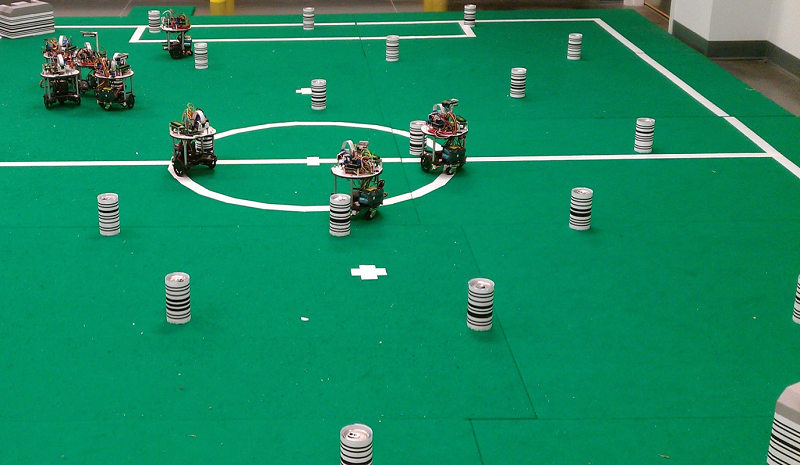 Some high-resolution pictures of the swarm (nine bots so far). 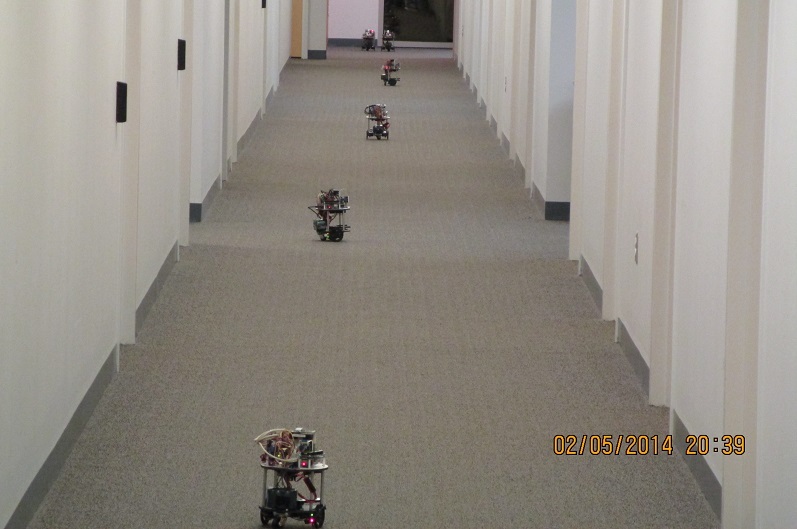 Our Flockbots performing robot swarm foraging research. 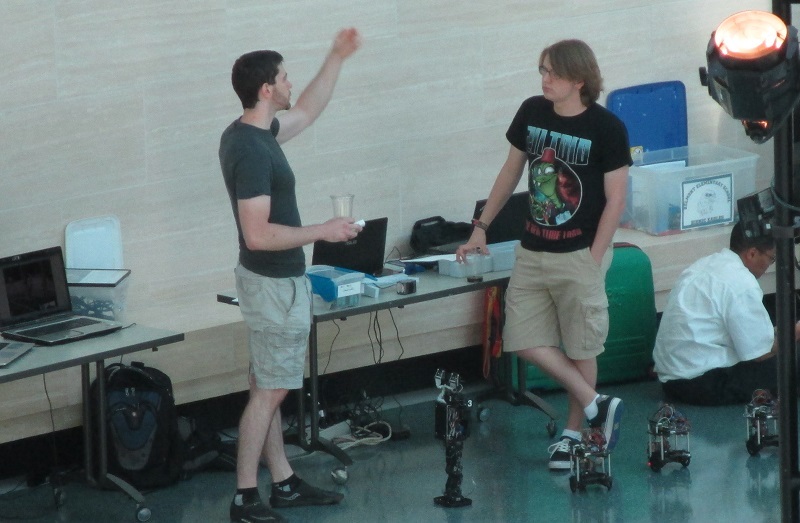 Flockbots serving boldly along with Ben, the veteran RoboCup humanoid robot, at the United States Marine Corps Museum for Family Robotics Day along with two of their programmers, Michael Bowen (left) and David Fleming (center). 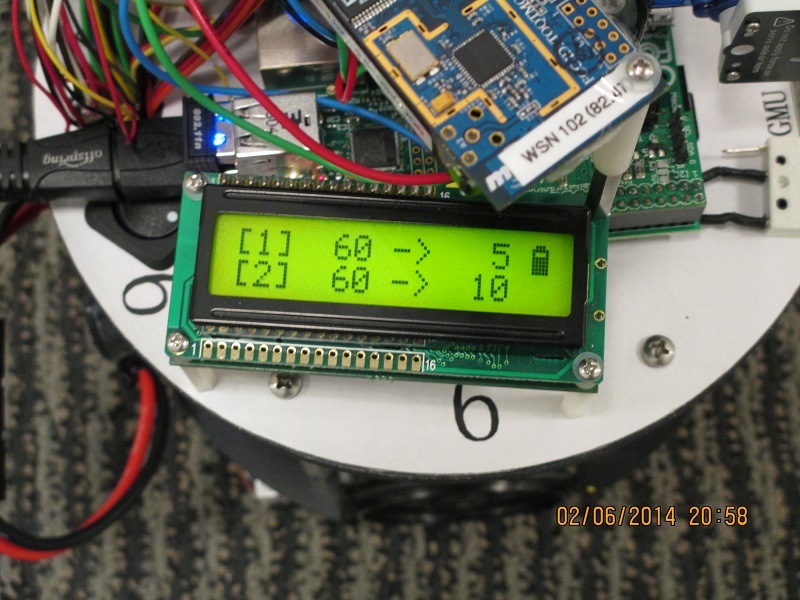 Flockbot 6 showing off after sending 60 messages using the Tmote Sky Wireless Sensor Network Mote. 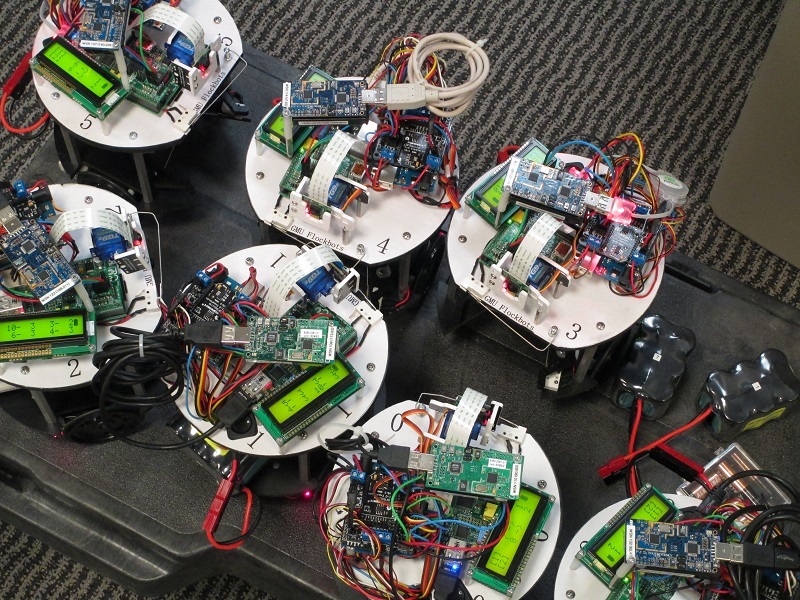 This shows that the messages destined for the first sink (Flockbot 1) were sent to Flockbot 5 for rerouting and the ones destined for Flockbot 2 were sent to Flockbot 0 (Node 10) for retransmission.